The brothers Jacob and Wilhelm Grimm spent years gathering the folklore of northern Europe, collecting countless versions of dozens of tales, often changing the story to spare bourgeois sensibilities. Inspired by their work, Olivier Py has molded their stories into a musical for young audiences, introducing them to the mysteries and conventions of “real” theater without condescension or sentimentality. Based on The Girl Without Hands, The Young Girl, the Devil and the Mill tells the story of a naïve father who makes a deal with the devil without realizing that this bargain comes with the sacrifice of his own daughter. Fearful of the devil’s revenge, he cuts off both her hands. But the young girl flees and begins a journey fraught with perils that introduce universal questions about death, evil, love, war, memory, and fidelity. 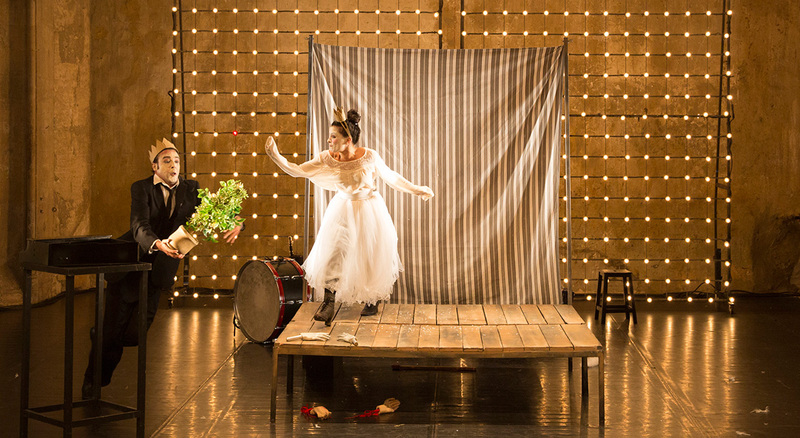 The Young Girl, the Devil and the Mill is the first English language production of La Jeune Fille, le Diable et le Moulin, which premiered at the Centre dramatique national of Sartrouville in 1993 as part of Heyoka, and re-premiered at the 2014 Festival d’Avignon. A special commission for TILT 2019, the play has been re-created by Py with an American cast. Performance will be followed by a Q&A with the cast and director. Please contact Clémentine Guinchat at cguinchat@fiaf.org or 646-388-6688 if you have any questions. English language production commissioned by TILT Kids Festival, co-organized by the Cultural Services of the French Embassy and FIAF.